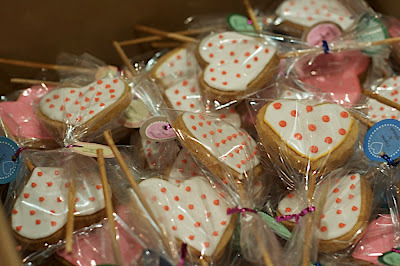 These cookies are favors for a wedding. They are an assortment of hearts and topiary cookies. All cookies are individually packed with a customized tag. nak tanya.. harga cookies ni macam mana? cookies ni sedap... pernah rase mase majlis cukur jambul nur qaseh amani..